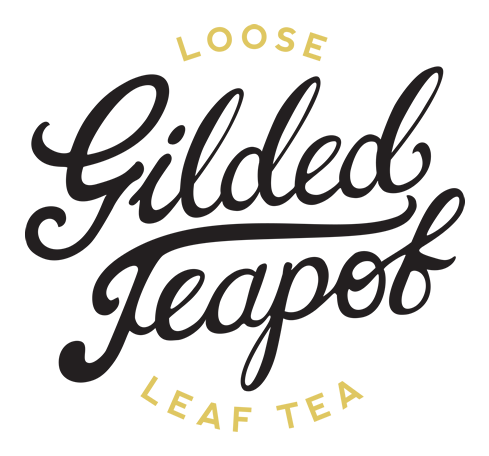 The Gilded Teapot > Blog > Archive by category "Uncategorised"
So What’s the Deal with Green Tea? You may have noticed a lot of hubbub about green tea lately… numerous studies coming to light, not to mention all manner of endorsements and health benefits. Right now is a rather exciting time for the green tea leaf. We’re talking about big, beautiful juicy green and white loose leaves packed full of the things that are so good for us. How often is it that we find out that something we love actually does us good… hoorah!  Loose leaf green and white teas naturally contain high amounts of antioxidants (and taste wonderful). When brewed for about three minutes, you’ll meet the perfect combination of flavour and goodness. Whereas, if you were to brew a green teabag for that time, it would taste downright awful and not have anywhere near as much of the good stuff. What’s most important to us is that you can drink high quality teas that suit your tastes and are absolutely delicious. What sets green and white tea apart from other teas is that they are unfermented. This means that the leaves have little time to oxidise – or break down – before being dried. (think of it as when you slice a fresh apple – the colour is fresh and vibrant to begin, then slowly turns darker as it reacts with the air around it). This preserves our new best friends known as the plant-based catechin polyphenols and flavanoids, the antioxidants that can help combat free radicals. They are anti-carcinogenic, help boost our ability to burn fat, and not only that – they’re also excellent for your complexion, may help prevent cancer, cardiovascular disease and can lower cholesterol. Two or more cups a day should help, and because you can re-infuse loose tea leaves several times, one teaspoonful will last all day. But what about caffeine? Is it in green tea? It sure is. But what about white tea? Its in there, too. All teas made from the tea plant will naturally contain some caffeine in varying degrees – but cup for cup it is a lot lower than coffee, and thanks to a substance called Theanine, the caffeine is released slowly over time giving you sustained energy with a calm clarity, rather than the buzziness of coffee. The rare high grade Matchas come from Gyokuro grown leaves. This means that the tea plants are shaded with bamboo mats before the leaves are picked. Because its shielded from the sun, the plant works double-time to get up to the light, encouraging the production of the elements that we talked about earlier. These fresh tender leaves are then steamed, and the purest part from between the vein and the stalk is removed. Bear with me! So now we have only the finest part of the leaf without any stalk. This is then placed between granite blocks and ground for hours until our pieces of leaf are now an incredibly fine powder. So when you drink Matcha, you’re drinking everything that the leaf can provide. This gives it over 100 times more antioxidants than your usual loose green tea, and is rich in vitamins E, A and C. Its wonderful for lifting your mood and is said to give a helpful boost to your metabolism! The traditional way to drink Matcha in the Japanese Tea Ceremony is to whisk it into hot (but not boiling) water using a bamboo tea whisk – beautiful. Another way we love to drink Matcha is in a Matcha Manuka Latte. Wholesome and utterly divine! So there we have it, a crash course in green tea and health. Until next time, tea lovers! The British and Tea. Like a horse and carriage, yes? We love it, we really do. However… I can’t help but feel that the general tea drinker has been losing touch with their roots. We never used to drink dust in a teabag with milk, no sir. 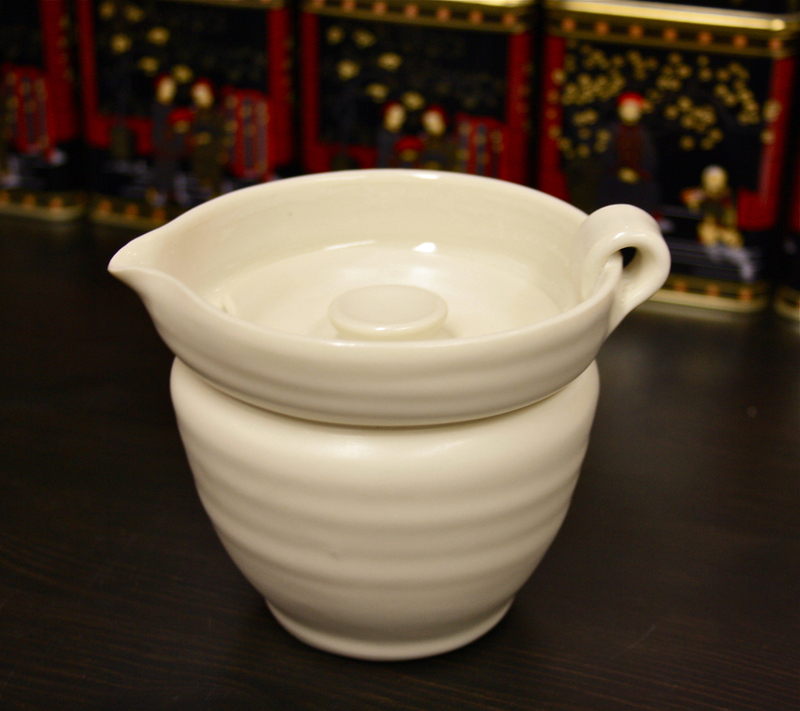 We were used to the finer things… it was Oolongs and green teas that first graced our teapots – a far cry from the usual brew we’re used to today, rather than a cup from the exotic misty hills of the Far East. China has the ‘big ten’, the key ten teas that it is famed for, and all of these teas have a beautiful legend or two behind them. So, I thought I’d share one of my favorites with you. Are you sitting comfortably? Tucked away in the Fujian province of China, there was a crumbling temple to the Iron Goddess, which housed an Iron Statue in her honour. Every day, on his way to and from work in the fields, a Mr. Wei would remark to himself on the state of temple, shaking his head thinking how something simply must be done. Now, Mr. Wei was by no means a rich man so couldn’t afford to rebuild the temple himself, so instead, twice a month he decided to bring some incense and sweep the temple clean with his broom. He repeated these tasks month after month after month until eventually, the Iron Goddess appeared to him in a dream. In this dream she told him that there was a cave behind the temple, and in this cave lay some treasure that he would share with other people. So the next morning, leaping out of bed, Mr. Wei explored behind the temple and there, just as the Goddess had told him, was the cave. As he entered he saw, pushing up through the ground, a single tea shoot. He gently cultivated the plant until it grew into a great tea bush which produced some of the finest tea that China had ever seen. 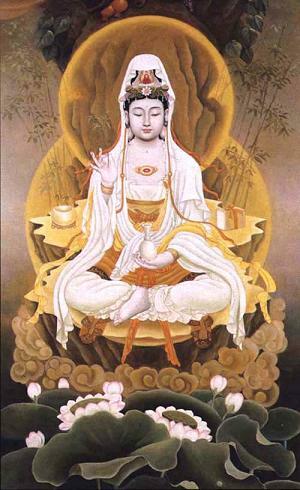 He gave cuttings from the plant to all of his friends and neighbours who sold the tea as Tie Guan Yin, the Iron Goddess of Compassion. Soon Mr. Wei and all those around him were prospering wonderfully, and fixed the temple which soon became a pillar of the community and, as one teller puts perfectly, a beacon for the region. So, for every day after that, Mr. Wei would feel joy in his heart when he walked to his fields, admiring the beautiful temple. I can just smell those tea leaves now… lovely. I’ve been enamoured with the story of this tea for a few years now, and I’m thrilled after three years of looking to finally find it! Now to sit back with my cup of Oolong and unearth some more stories. * Please note there will not be a test later. That would be mean. Hold onto your hats! It’s the Travelling Tea & Coffee House. Tired of going to festivals and having to put up with a teabag in a plastic cup? Well, no more tea hum-drummery! We are here for you, serving all manner delicious delights from proper loose leaf teas, top notch coffees, Matcha Lattes, traditional milky sweet Chai, and anything else your tea and coffee heart so desires. Follow our blog and Twitter to find out where we’ll be! We’re very, very excited.